Are you managing your gorgeous selfies in a right way? From our birthdays to the sadful events we take numerous pictures in our daily life. Pictures are the latest ways where we tell our beautiful stories. We upload them to Facebook, Instagram, Twitter and what not. All the good pictures are appreciated and tend to increases the fan following. You can also see Android App Designs. With the arrival of smartphones, the demand for the good camera in the device itself has increased in recent years. Gone are the days where people carried big camera separately for the pictures. Many phones have started producing the mobile which is camera centric. They come with different megapixel and features which can click incredible pictures. The pictures we click on the daily basis have heavy storage value. They eat away a lot of space in your mobile. And if you are, perhaps a narcissist and in love with your camera a bit more of space will be loaded on your tiny phone. But, that is not a problem here are the top ten photo management apps which can store all your pouts and gym selfies. You can also see Top Mobile Apps. 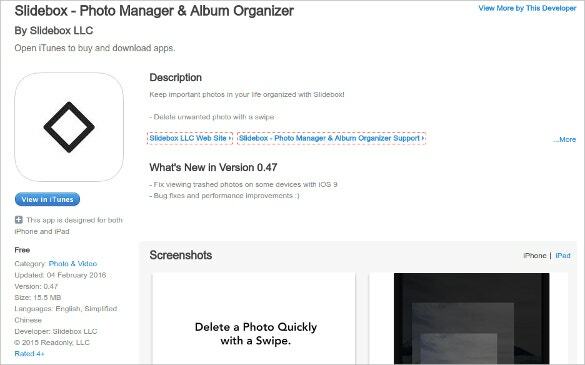 These photo management apps can store all your photos without any extra charge. They are absolutely free. Even if you delete them from your mobile phone they will stay safe in your applications. All you need is to sign up with your Email Id and give them the access to use your camera. These applications take permission before they save your photos to their server. They are linked with the mobile data or WIFI which helps the app to upload the pictures. The photos can not be accessed by anyone. It is locked and safe and won’t be shared until you give permission to do so. 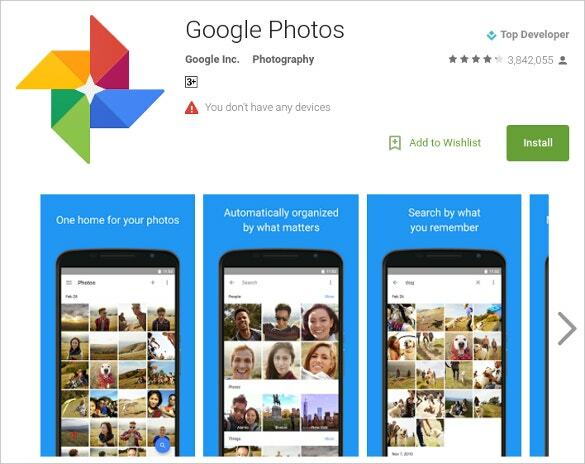 Google photos is the best application for the android users. It has got the variety of features like unlimited cloud storage space, automatic syncing for photos, original quality picture storage. This application can be set to update the pictures in an automatic way. There is a smart assistant in the application which helps to display the photos by dates, maps, collages, photo stories. This application can even recognise the face and can tag the people if allowed. This application is the revolution in the photo management applications. 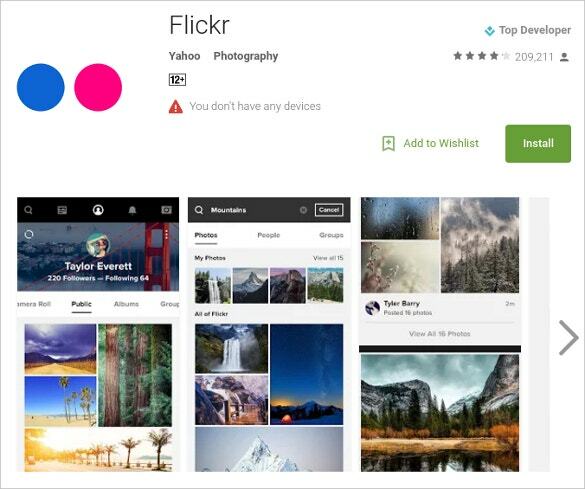 Flickr is one amazing application which allows 1,000 gigabytes of storage for free. High-resolution pictures can be stored in this application. There are fourteen amazing live filters with an easy editing tool which makes the pictures look stunning. The Flickr app can also record thirty seconds of HD videos. 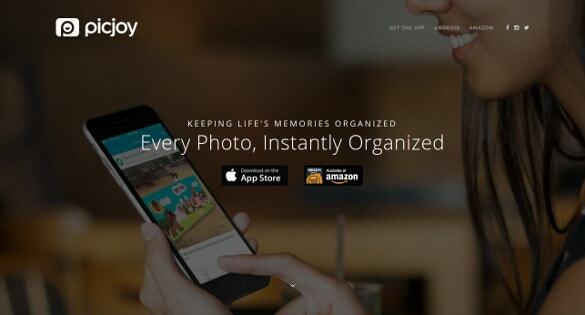 This application can store 500,000 photos for free. It uploads the picture automatically to your account without a much do. The application has got a search which can be accessed easily. The photo stored in the Flicker can be shared to Facebook, Twitter and Tumblr. Slidebox is a tinder like an approach application. This has the feature to sort your pictures in a quick and easy way. It displays all the unsorted pictures in a queue. You can delete or keep the pictures if you wish which gets saved at the trash bin. You can swipe left or right to change the pictures. It allows to create a new folder for the picture or you can even save them in the existing folder. This application has got San serif font and is developed by amazon. 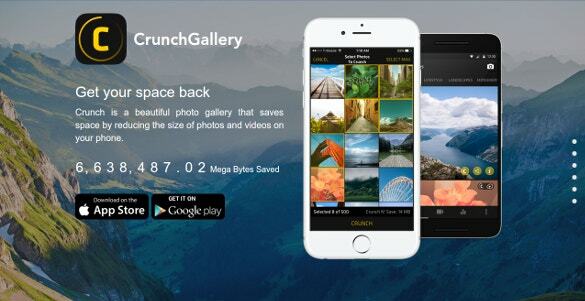 Crunch gallery is an application which reduces the size of images and videos so that you can store more of them. They reduce the size of the video by 6x and videos to 50%. The picture quality of this application is fairly good. It backups all the photos and videos in the cloud immediately. Through this app photos and videos can be shared fast as they reduced the quality and also saves cost on the data usage of mobile. The longer videos can be shared on facebook, Twitter or any other social network website which you use. It has got a simple style and extremely easy to use. Try this app yourself to know it even better. MyRoll is the best application to personalise your pictures. You can store photos and videos up to 50Gb with this application. It automatically detects the bad photo like dark and blurry images and deletes them. This helps in freeing your storage. The photos can be shared privately with friends and family. It stores the photos and detects the time and location of it. It highlights the best of the pictures from your gallery. PicJoy is an intelligent photo library. It organises the photos in the best form. 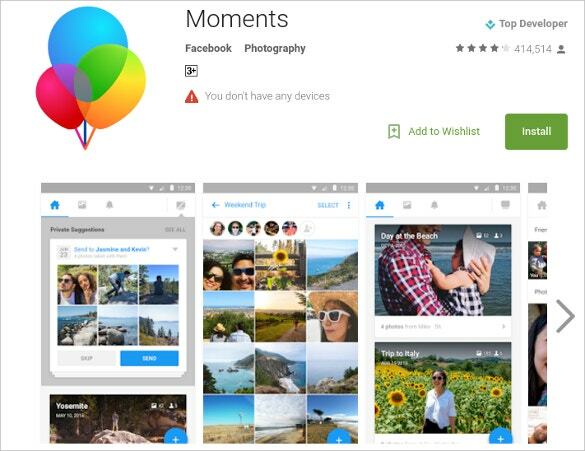 If you face difficulty in finding a specific photo in camera roll this application is extremely helpful for you. 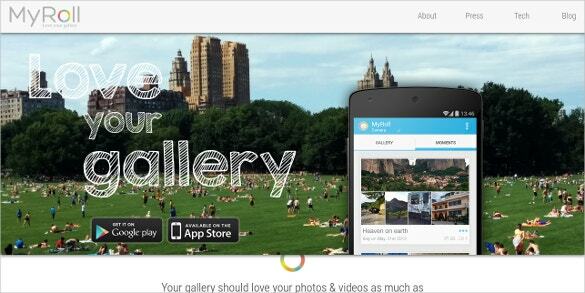 It creates beautiful albums and photo stories of your life. The photos can be shared instantly. This app uses the algorithm which allows you to tag images on iPhone and iCloud accounts. You only have to give access to your camera roll and it can search images by date, season, events, location and holidays. 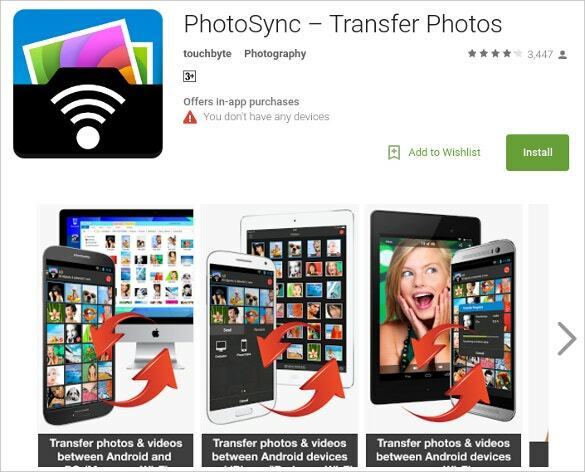 PhtoSync is the application for those users who click a lot of photos and are too lazy to transfer photos to their iPad or computer. This app can transfer the picture from your phone to the iPad or your computer. This app comes in paid version. All you need to do is connect your phone and computer using the same WIFI. Follow the simple procedure and there you go. All your files in the safe place. 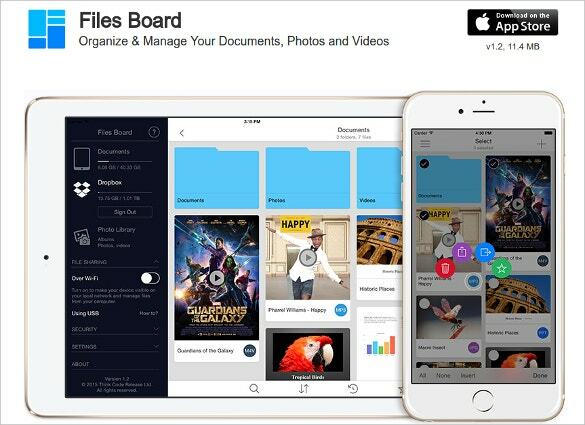 FilesBoard can manage your files wirelessly from your Mac or PC. It comes with the easiest way to handle. You can swipe left and right to add your folders and files and other settings. You can also Filter, sort, search, preview, share, copy, move, rename, uncompress, delete with this app. Download this app to get first-hand experience. Moments is an easy way to gather photos of you and your friends take together to collect all the memories you will want to look back on. With this application, you can share your photos with friends, get their photos, and even keep them all in a single private place. You can swap your photos with your friends using this application. 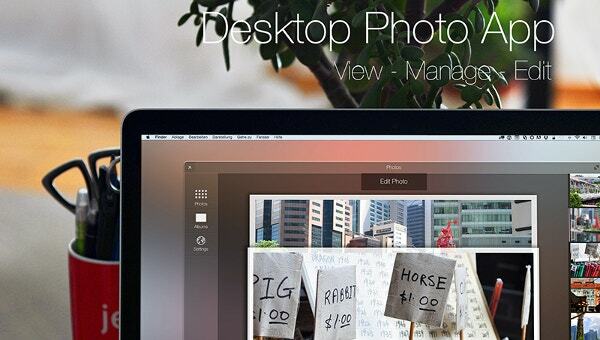 These are the Top ten Photo Management apps you must have on your phone. They are super easy to use and comes with different functionalities and features. Use these apps to sort out the pictures in a better manner. If you are a photo freak you must have this application in your phone. It will ease and organise your pictures in a better way. Some of the application also has filters which will make you look more stunning. Share the best of your photo story on social media and let people know about your awesome blessed life. Keep clicking and sharing! see this Dating App.